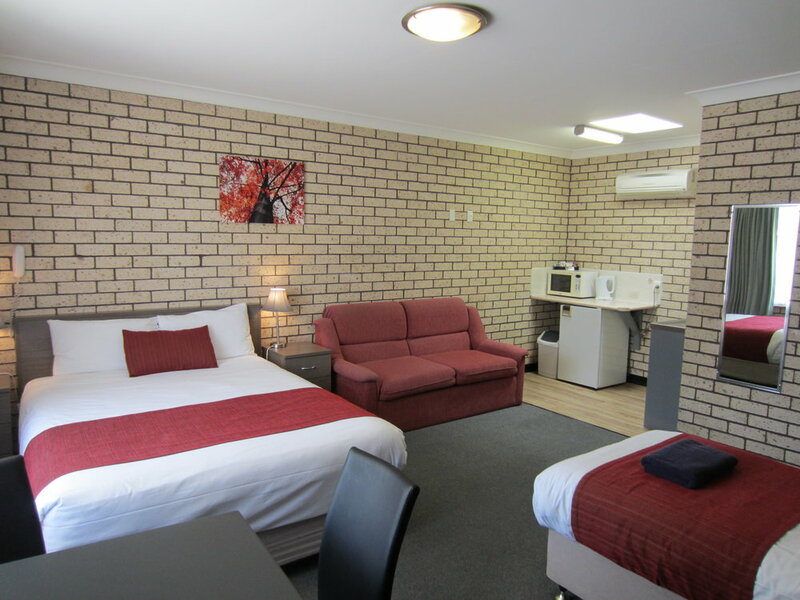 Cowra Crest Motel is the quiet family owned and operated motel in the centre of town, providing very spacious, fully equipped, comfortable rooms at affordable rates. Relax in the quiet, peace and privacy of our 3 ½ star motel within 1 block of supermarkets, restaurants, take-away, shops, churches, service stations, clubs and pubs. The Cowra Crest Motel offers 12 easy access ground floor motel units, with breakfast-making facilities, microwaves, even the kitchen sink. Enjoy the big Austar Entertainment package and Broadband internet access in every room by wireless (WI-FI). Parking is at your door. Each motel unit is fully equipped to make your stay very comfortable. So, whether it's a short break away, staying a while to explore the region, or simply an overnight rest on your journey, enjoy the convenience, the quiet, the comfort and hospitality of the Cowra Crest Motel. Family Units and group units are also available.